Artist unknown. Unidentified mother and daughter. 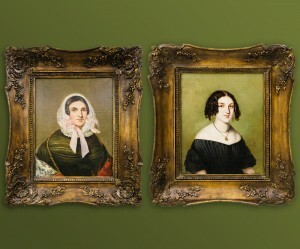 Germany, mid-19th century.These portraits of a mother and daughter show the cultural dynamics in a German-Jewish family of the mid-19th century. The mother’s dress adheres to traditional conventions of modesty, including a bonnet and possibly a Sheitel to cover her hair, while the daughter confidently wears her natural hair in ringlets and sports a low-cut dress that emphasizes her décolletage and jewelry. 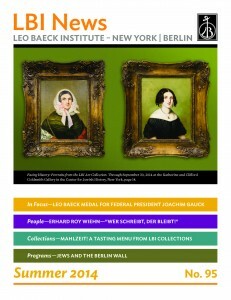 At the core of LBI’s Art Collection are well over 1,000 portraits of Jews from Central Europe that reflect the changing cultural dynamics from the 18th century to the 20th century. 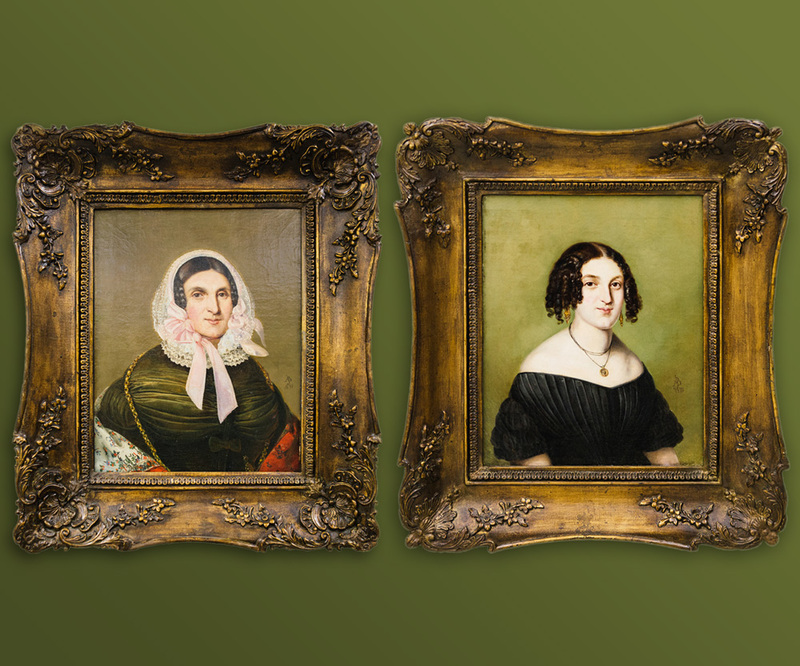 A selection of some of the most interesting portraits is on display in the Katherine and Clifford H. Goldsmith Gallery at the Center for Jewish History this summer. 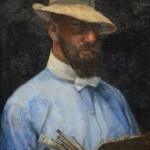 Portrait painting has always been linked with ethnic and national identity. Jews, however, observing the commandment against graven images, traditionally refrained from having their likeness painted. 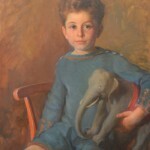 This reluctance was reinforced by the absence of Jewish artists. 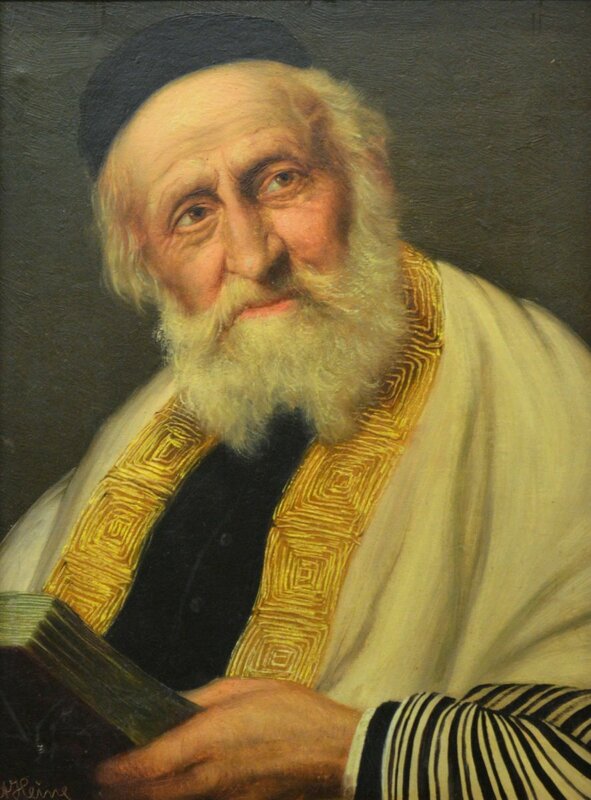 Barred from the artistic guilds, Jews first became involved in the visual arts only in the 19th century. The pictorial representation that developed became particularly significant because many Christians used these images as their only reference to Jews. Social restrictions limited direct contact, which meant Christians rarely had an opportunity to meet a Jew in person. 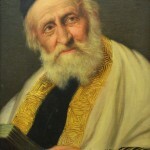 The rapid spread of portraiture among German Jews was spurred by the veneration many congregants felt for their rabbis, whose portraits became much desired icons. Later, as Jews established themselves in the middle class, they wanted their importance as individuals recognized and immortalized for posterity. 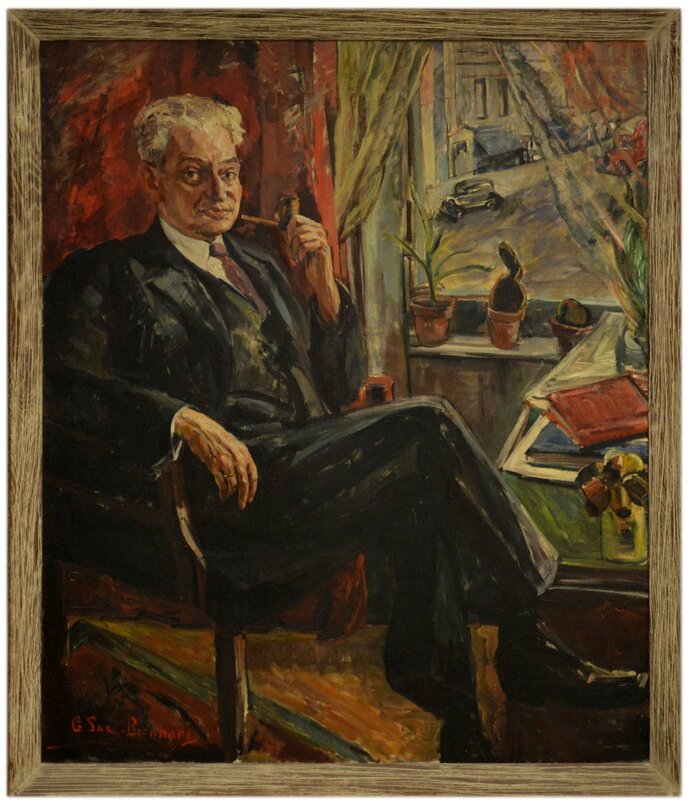 Portraiture thus became a social agent that not only conveyed a public image of Jews, but also served as an expression of their self-awareness and affirmed their status to other Jews. Kisling, Franz Joseph. 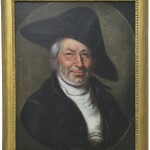 Portrait of Abraham Ettlinger, 1802. 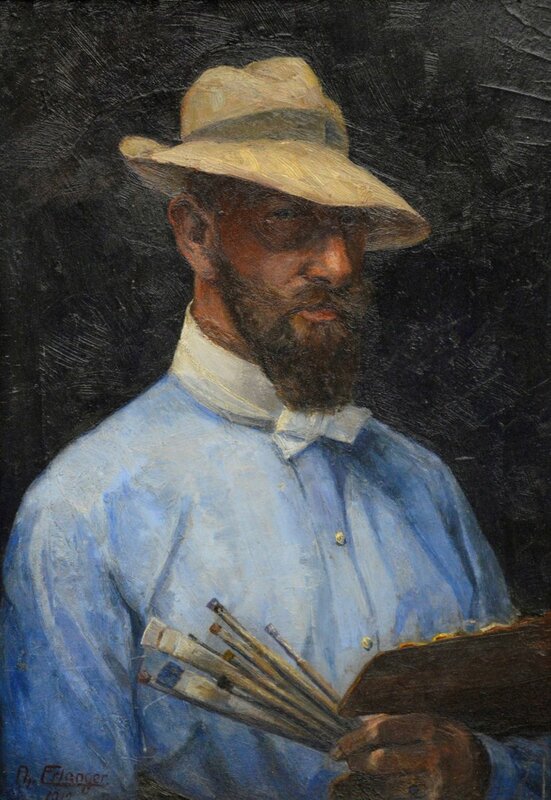 The artist Franz Joseph Kisling was the official court portraitist of Mannheim. 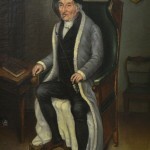 The tricorner hat worn by the sitter was typical for Jewish men at the time. 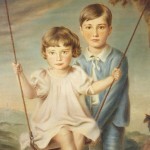 Sax-Bernhard, Gertrud. 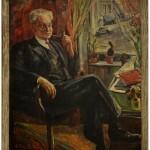 Portrait of Georg Bernhard, c. 1920s. 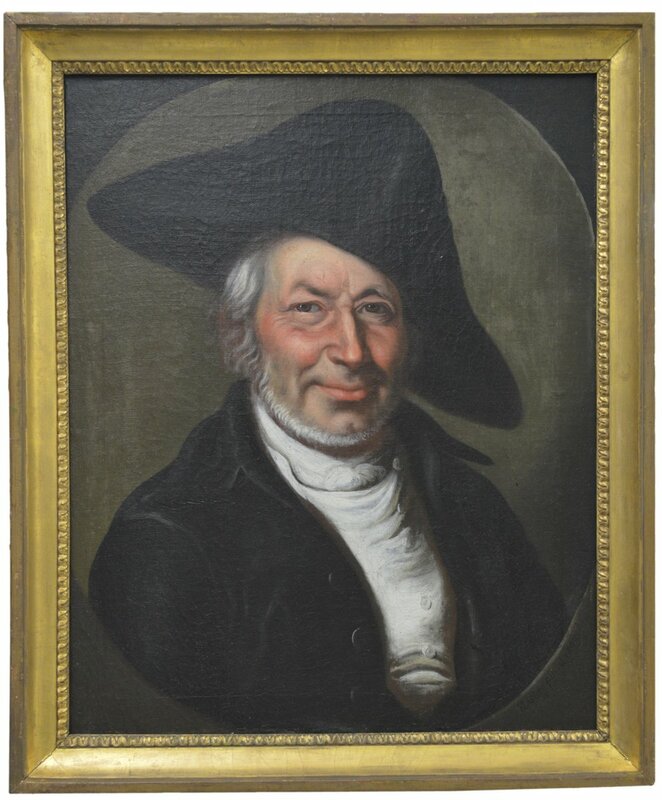 The sitter, painted by his wife, was a financial journalist and the publisher and editor of the Vossische Zeitung. Artist Unknown, Man with a Pipe, c. 1820. 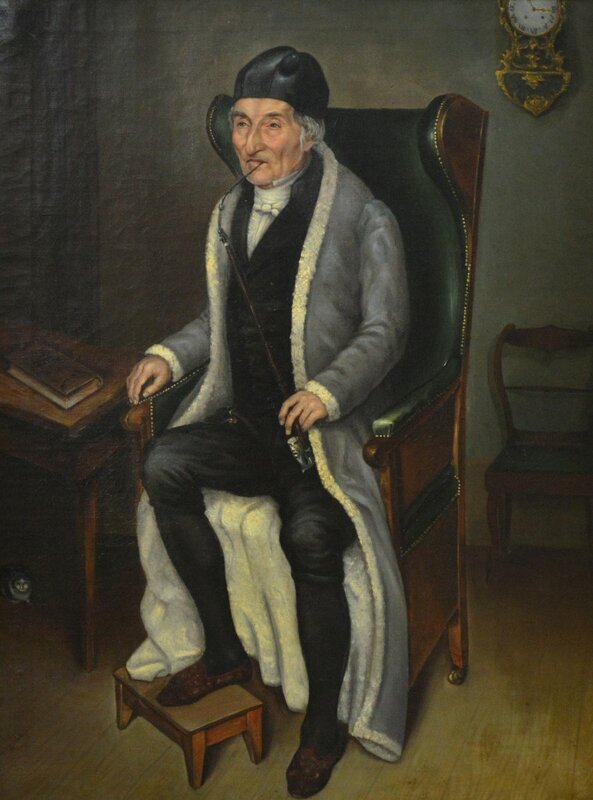 This typical Biedermeier portrait offers little to identify the sitter as Jewish, other than a Hebrew volume of Tehillim, the Book of Psalms. 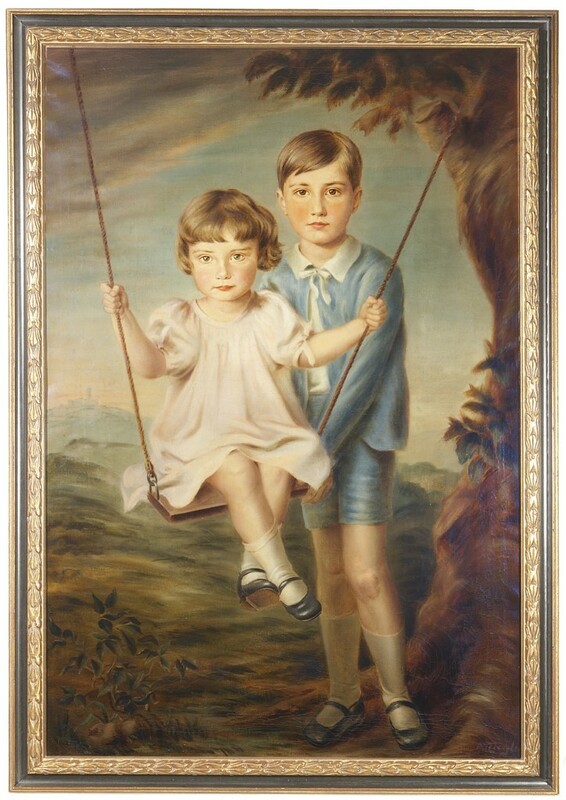 This portrait of the children of an upper-middle class Jewish family was painted in the 1920s by Adolf Ziegler, who would eventually become president of the Nazi Chamber of Art in 1936. 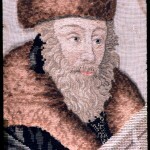 Joseph Margulies. “Portrait of Rose Susan Hirschhorn”, 1940. Louise Lyons Heustis. 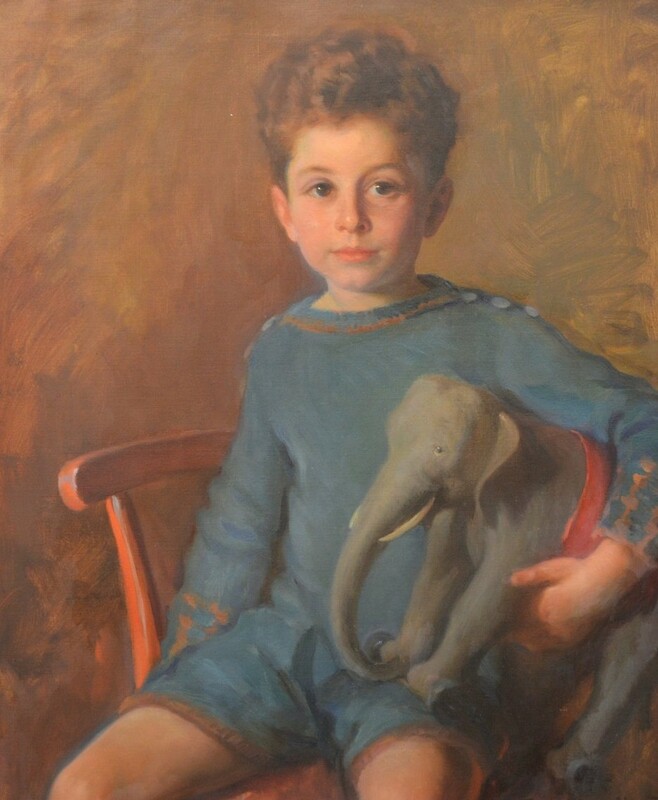 Portrait of a Boy with an Elephant, 1925. Artist Unkonwn. 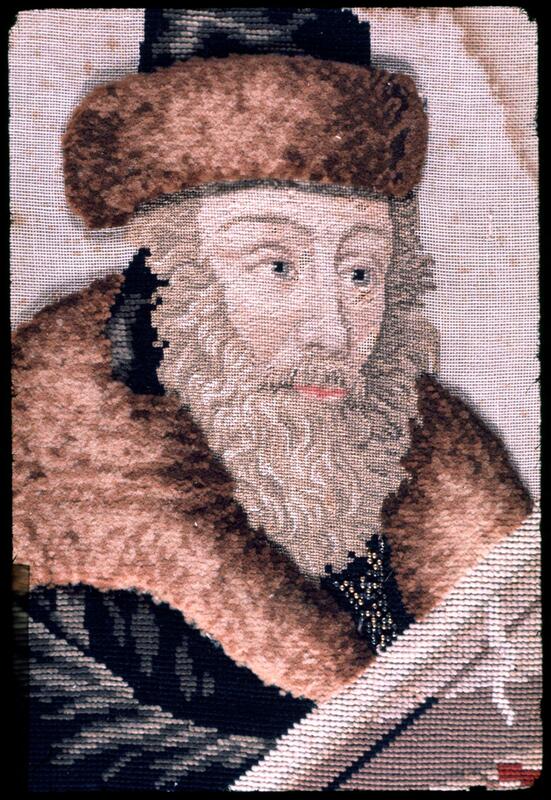 This 20th Century embroidery depicts Rabbi Akiba Eger, an important Talmudic Scholar and Rabbi in Poznan.